Theiss UAV Solutions, LLC. is a leader in non-destructive, physical negation Counter UAS technologies, developed specifically to take the fight to the threat instead of waiting for the threat to come to you. Latin for “I Capture”, the EXCIPIO line of C-UAS Systems are unique interception and neutralizing systems currently under development by Theiss UAV Solutions, LLC. Since 2015, our EXCIPIO C-UAS technologies have been tested and proven effective in numerous DoD C-UAS projects and exercises. Theiss UAV Solutions, LLC has released the EXCIPIO Aerial Netting System, a patent pending non-electronic, non-destructive Anti-Drone system. Though the initial system concept was focused on intercepting and neutralizing an airborne UAS (or “Drone”), the conceptual applications have expanded to include manned aircraft, ground vehicles, people, and animals (whether airborne or on the ground). 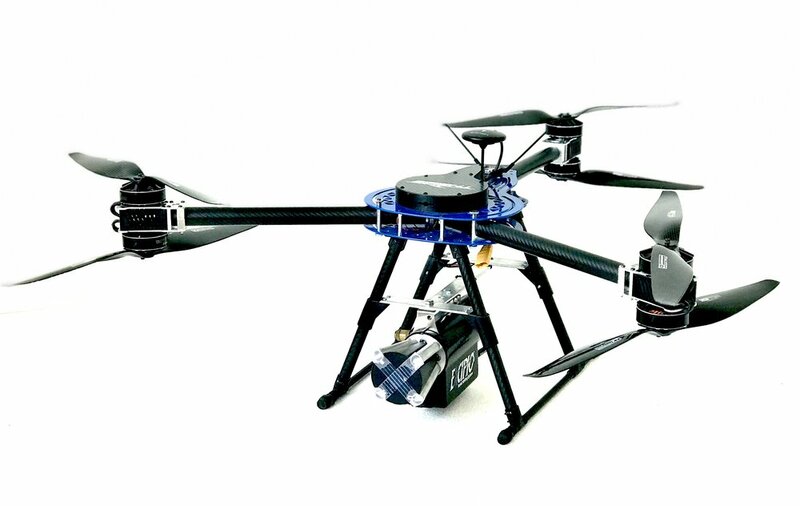 The EXCIPIO Aerial Netting System currently is comprised of a UAS ( rotorcraft or fixed-wing) equipped with an FPV camera, and a net-firing gun. The EXCIPIO is launched when a threat target has been identified, and then flies to intercept the target. When the EXCIPIO has reached the threat target, it fires a net upon the target when commanded by the EXCIPIO System operator. Once the target has been “netted”, the EXCIPIO can either release the net with the neutralized target ensnared, or keep the net tethered to the System for the purpose of relocating the net and neutralized target to a desired location before releasing them to the ground. Please contact us via email for more information, or to order the EXCIPIO Aerial Netting System.